Inevitably after making a carbon fibre stock you have a few offcuts lying around. I started to look around for things I could improve. 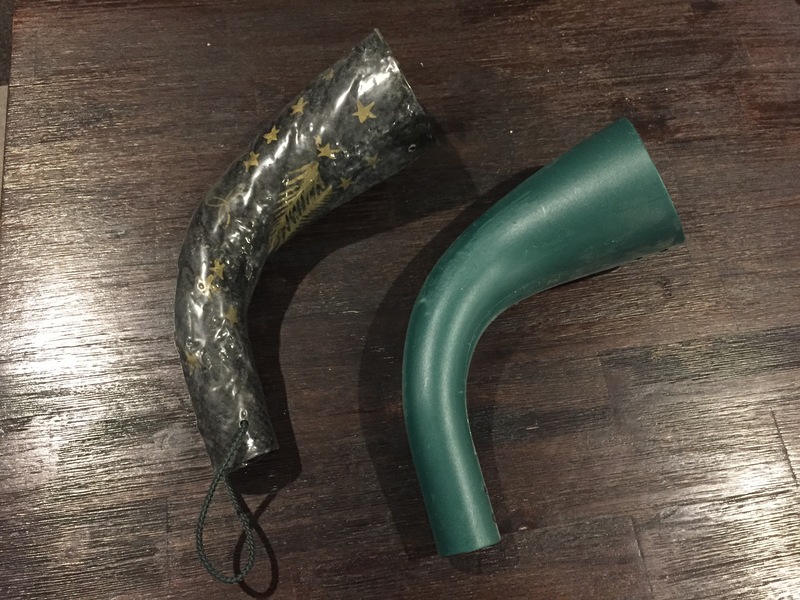 Made this roaring horn by using the green plastic one as a mold. Added a bit of hunting themed paint underneath the top coat with a few southern crosses and a stag head. The sandwich material between layers helps stiffen things up but leaves things a bit lumpy on the outside but she sounds authentic enough. Halved the weight so mission accomplished. Onto the next project! sometimes, LOC and dannyb like this. FRST and dannyb like this. It is the resonance which is critical Got a fibre glass one made by a dude in Hamilton about 18years ago and anyone who has used it has always got a stag with it.